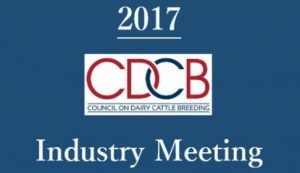 Were you one of the 175 people who attended the Tuesday, October 3, 2017 CDCB Industry Meeting at the World Dairy Expo? The topic was “Discover New Dairy Genetics” as 6 new health traits were introduced that will be a part of the Dec. 2017 genetic evaluations. The meeting was headlined by a producer panel providing perspectives on dairy herd health, and recent research findings were presented by staff from the CDCB and USDA Animal Genomics and Improvement Laboratory (AGIL). Click here for FAQ from CDCB about the 6 new health traits. To download presentations from the meeting, click here. Be sure that the emphasis on health traits is here to stay as animal health companies, universities and AI companies are investing heavily in the health and welfare of dairy cattle throughout the world. 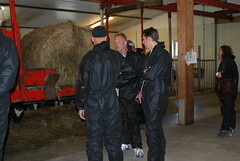 Also, be sure that the breeding goal of Norwegian Red breed is staying the course for health and fertility. 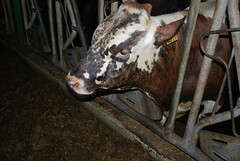 Health traits have been included in the breeding goal of this breed since 1978; fertility since 1971. 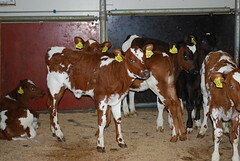 The Norwegian Red breed is widely known as one of the most fertile breeds, but this breed has also made tremendous genetic gains in resistance to mastitis and other diseases. 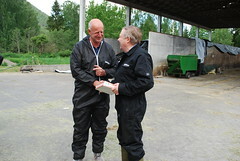 In 2016, across 263,081 lactations (all ages), the Norwegian Red in Norway had a risk of disease treatment per cow of 13.2% for clinical mastitis, 6.1% for reproductive disorders, 1.9% for ketosis and 3.7% for milk fever – – in the period of 15 days before calving to 305 days in milk. Why don’t you look at your herd and compare your risk of disease treatment per cow for these diseases? Be sure that the introduction of 6 new health traits in the December 2017 genetic evaluation will add to producers’ interest in reducing diseases in their herds. Profitable dairies seek to ruthlessly control costs… including health costs.